CtrlShift has appointed Syahar Khalid as its senior director of business development for its Malaysian market. Prior to the new role, Khalid was general manager of marketing and branding at Al-Ikhsan Sports. 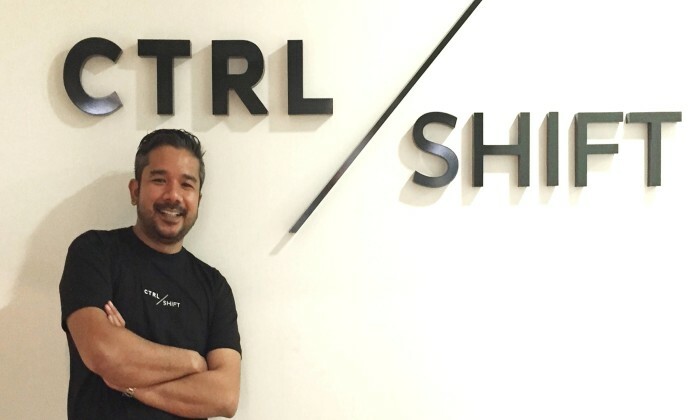 In his new role, Khalid will take up the leadership role to deliver CtrlShift’s solution-oriented model to Malaysian and regional CMOs – offering strategic digital advertising, marketing consultation and ad tech advisory. He will also report to Deepika Nikhilender, CEO of CtrlShift. Khalid’s hire is in line with CtrlShift’s strategy to build a high calibre senior team to provide expert, quality and trusted counsel to executive level decision-makers within client organisations – said CtrlShift, which brands itself as a global audience-focused marketing solutions company. He also brings in over 16 years of experience in the industry. “He is a digital expert, having led and managed the digital transformation of Malaysian Airlines as well as accelerated the digital transformation of Nestle Malaysia. Khalid sits on the Malaysian Advertisers Association (MAA) council and on the Malaysian Audit Bureau of Circulation board,” said CtrlShift in a statement. “We are thrilled to have Khalid on board to further develop and grow our solutions-oriented practice. Khalid, with all of his first-hand marketing experience, will be a great asset in helping our clients deconstruct complexities, design outcome-based solutions and execute omni-channel strategies. He can aid them to transform their approach to marketing and the way they define, find and connect with their audiences online,” Deepika Nikhilender, CEO of CtrlShift, said. Khalid added, “I’ve been blessed to have worked closely with top global brands, agencies, publishers, creators and other players in the marketing ecosystem. Through these experiences I’ve gained a deep understanding of how to leverage data, technology and content in a targeted and agile manner to deliver impactful marketing campaigns,” he added. The programme looks to help clients and their agencies work more efficiently. ..
Mohamed Kadri Mohamed Taib, Coca-Cola Malaysia’s public affairs and communications director, is the new president of the associati..
Hong Kong – When TVB started putting its shows online six years ago, it was only the first step of a plan for make a global ..
Kuala Lumpur is one of the ASEAN cities expected to have a jump in growth. Read more here. ..